The motorcycle you have purchased may differ slightly from those shown in the photographs. The compact basic design is made possible by the re-siting of the alternator behind the crankshaft driven by a gear train, instead of simply positioned directly at the end of the shaft. 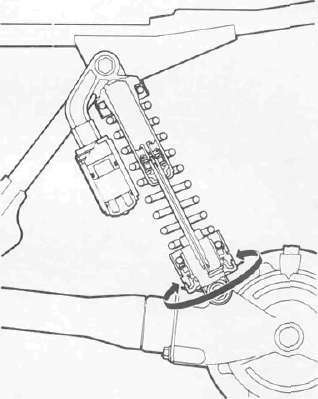 Double overhead camshafts are driven by chain from the crankshaft, with an automatic chain tensioner reducing the need for maintenance. The more normal two-valves per cylinder configuration is retained for ease of servicing and the fact that the valves can be operated directly by the camshafts without the added complication of cam followers. The camshafts are supported at four points for reliability at sustained high rpm. Carburetion of the XJ900RK is by four 34 mm constant vacuum units which, combined with the precise ignition timing of the electronically-governed T.C.I, unit, provides quick starting and smooth pick-up from any point in the rpm range. Coupled with this, the Yamaha Induction Control System (Y.I.C.S.) adds power in the low to mid-range and delivers about 10% increase in fuel efficiency. YICS is a secondary port cast into the cylinder head, linking the main induction tracts. It brings the secondary charge into the main tract at an angle so that it mixes with the main flow of fuel and the mixture is swirled completely around the combustion chamber, thus resulting in more complete cylinder filling which leads to more power and less fuel consumption. Compact and powerful DOHC four. The XJ900RK features a proven two-loop, full cradle chassis design. 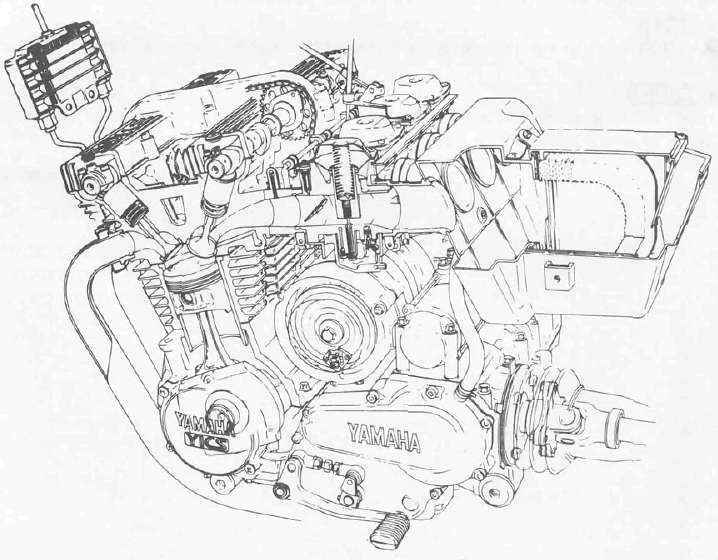 Shock absorbers, which are a new design, exclusive to Yamaha, have the unique feature that both the damping characteristics and the spring tension of the shock can be adjusted simultaneously by a single action. 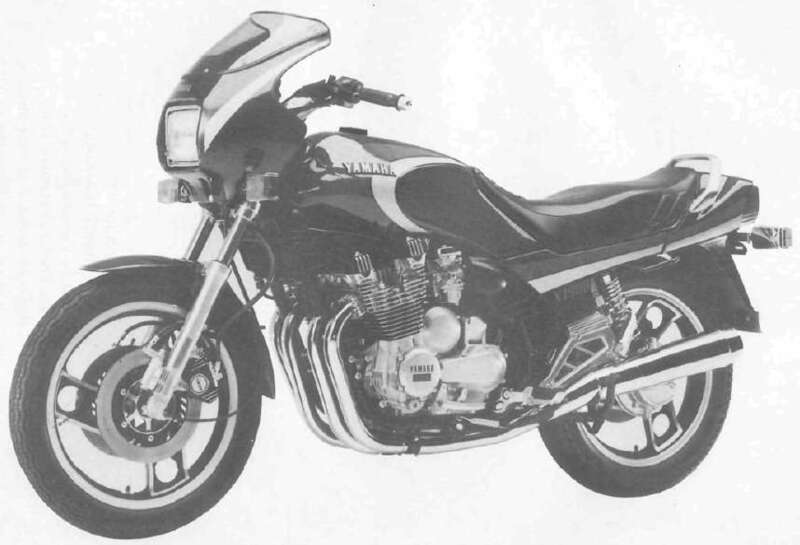 The triple disc brakes on the XJ900RK owe much to technology developed for Grand Prix race. 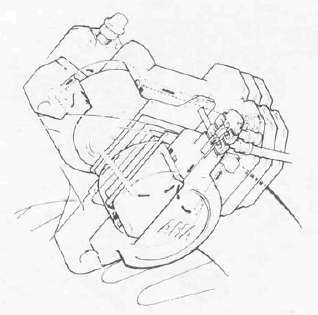 The disc caliper is of the opposed piston type, another development from the race tracks, and brake pads are semi-metallic. This improves wet weather performance, eliminates brake judder and cuts out the noise, squealing often found with asbestos components. The new three-spoke type cast wheels are light but extremely rigid. Wider allow a flatter tyre profile for maximum cornering advantage. Tyres themselves are V-rated for the ultimate in safety at the highest cruising speeds. The 22 litre fuel tank blending smoothly into side panels and seat unit is very attractive, while at the same time helping greatly to provide the ultimate in rider comfort and protection. 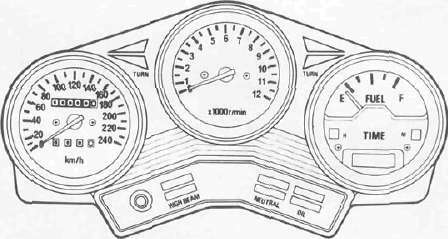 A trim headlight fairing smooths out the area around the steering head and contains an aircraftstyle instrument panel with centrally-mounted tachometer, the speedometer on the left plus fuel gauge and digital clock on the right. The trip meter can be re-set at a single touch. The forged alloy handlebars are adjustable to give the rider his most comfortable position. A louvred duct around the frame-mounting oil cooler directs a cooling air flow over the cylinder head. Continuing the "integrated" styling theme, the ribbed, alloy footrest mounting plates fill in the usually-untidy gap between side panels and the upswept mufflers. A cast alloy grab bar enhances passenger confidence while the contoured seat provides both comfort and a positive location. 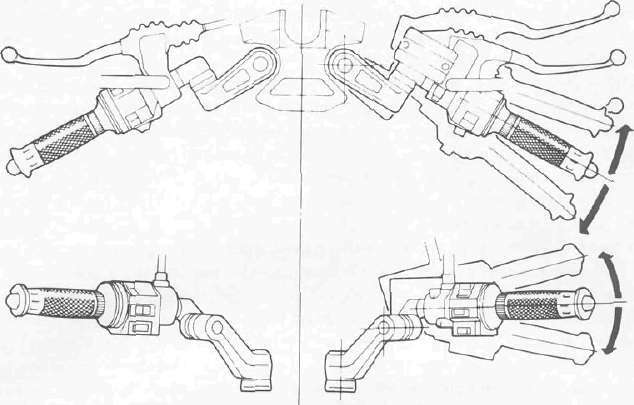 Opposed piston type disc brake. Triple-meter console with digital clock. Air-assisted fork with anti-dive system and fork brace. Programmed rear suspension damping/preload adjustment.